I am excited to introduce today’s guest post by Erica N of Living Life in Rural Iowa. She offers tons of actionable tips on how to make ends meet. They may seem extreme to some people, but they are simple and actionable. We all want to save money, but sometimes we just don’t know how to save more money than we already are. 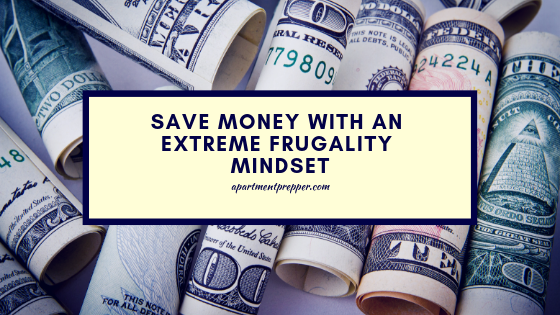 We don’t want to take the next step in frugal living because we know that we will be looked upon as crazy. However, sometimes you need to save an extreme amount of money in a very short period of time. You might be suddenly faced with only having half of your normal income. You might find yourself with a lot of medical bills or a large repair bill. You might also desire a different kind of life. 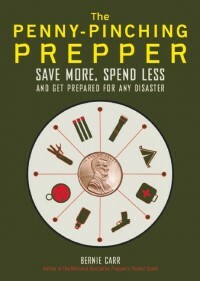 You may want to prepare, to homestead, or just live a simpler and less stressful life. Most people don’t think they can afford to do those things because they are so tied down with debt or other obligations. However, most people can if they would re-examine their spending. In other words, you will need to practice a level of frugality that most of us don’t want to think about. I call this poverty living. We are all living (or should be living) at a level of frugality that seems a little tight, but sometimes we need to get a lot tighter. 1. Take a long, hard look at your finances. You need to take a notebook and write down every single bill, expense, and spending you do now. You also need to look at any future expenses you know you will need to pay for. This is the time to get really tough with yourself and/or each other as a couple. What items in your budget can be eliminated, paused, or reduced? Do you have expensive habits? Are you extravagant gift givers? Are you kids in too many activities or have expensive hobbies? This is the time to examine everything including your lives. If you need or want to live as frugally as possible, sacrifices need to be made short term and possibly long term. 2. Get your grocery spending under control. Some of you will say that you don’t spend a lot of money on groceries or at least as much as your friend spends on her groceries. You need to change your thinking. You are practicing a whole new level of saving so you need to focus on you. You need to carefully look over your receipts. You need to start making a list and sticking to the list and the budget. You need to plan meals around basic foods, what you are growing, and what is on sale. Going without a list and with no plan will make for a miserable time for you and your budget. You need to make the time to do this. You can also start a price book so you can get an idea of when an item is the cheapest, where the best price is, and how often it is on sale. 4. Sell what you don’t need. If you have four vehicles, only two are in working condition, and you only have two drivers, sell the two non-running vehicles. You can sell vehicles as is as long as you are honest about what is wrong with them. The same with the stuff you have in the garage, house, shed, and anywhere you are stashing things. Now is the time to make a little extra money! If you don’t need it, get rid of it. Some things will only have a purpose once or twice a year and that is okay. However, your kids’ outgrown toys, clothes, and equipment are not doing you any good sitting in a closet. Neither is the sporting equipment that you used ten years ago but think you will use again someday. 6. Unless you are getting it for free, no eating out, no going out on dates/nights out, no alcohol, and no other bad habits. They aren’t necessary no matter how much you think they are so now is a good time to get rid of the bad and expensive habits and any other costly fun things. You may suffer some withdrawals, but the suffering will be worth the money saved and possibly improved health. You can also add soda pop, candy, and other “treats” that we think we need for ourselves. We don’t need them and we would be better off without them. 7. Write down every penny spent, earned, and examine every purchase. This is a learning process. You will make mistakes, but in order to know where your money is going, you need to be on top of the spending. Ideally, you do not want to spend any money, but life is never ideal. However, by writing down every purchase and expense, you can easily see where your money is going and where it shouldn’t be going. From there, you can make the necessary corrections to save even more money. And sometimes, just the thought of having to write down the expense will stop you from purchasing the item. No one wants to write down that they spent $1.29 on a candy bar. 8. Figure out what the true cost of things is. You may think your child needs to be in activities like basketball, dance, and other sports. You may think it is only costing you $40 for the registration fee. However, you are also spending money on additional vehicle gas, vehicle wear and tear, your time, possibly fast food to feed the family, special clothing and shoes, and more. That $40 is more like $400 before the season is over. While I believe kids should be involved in a few things, sometimes parents get kids involved in things they don’t want to do. The same can be said about our hobbies and past times. 9. No more food waste. When you are living below the poverty level, you do not have the luxury of wasting food ever. If you are raising food, you better find a way to preserve it somehow if you cannot eat it all. If you have leftovers, you should be eating them until they are gone. If you cannot eat all the leftovers, you need to freeze them or offer them to friends. If you do not like leftovers, you either need to get over yourself or make just enough food for the meal. You do not have the money to be throwing away food. If you have little bits of food or vegetables in your fridge you don’t know what to do with, make a refrigerator clean out casserole or soup. 11. Save money any way you can. You need to always look for the savings in almost all of your decisions. This doesn’t mean you should buy cheap goods that will break quickly instead of quality. This means you should always examine everything to see if you can save money. Saving items like rubber bands, twist ties, bread sacks, scrap paper, and more will save you money and extend the life of your purchase. Turn on a lamp instead of the overhead light because the lamp will take less electricity. Use grocery sacks for trash bags instead of using the real thing. Put on a sweatshirt and drop the thermostat by two degrees in the winter. Ask yourself constantly how you can save money and do it. 19. Shop from home first. Most people will go out and buy something new instead of using what they have at home. Back to school shopping is a prime example of this. Your kids probably came home with items they used last school year that is in perfectly good condition. However, we have been trained to think they need everything new when school starts again. We need to ditch that thinking. Look over their last year’s items and reuse what you can. The same goes for gifts. Most of the time we have a brand new item at home that will work for a wedding or baby shower gift. Yes, this is regifting and make sure you do it right. Remove the card and make sure you don’t give it back to the person who gave it to you. You may also be able to make a present with items you have on hand already. 22. Realize saving money is in the little things as well as the big things. 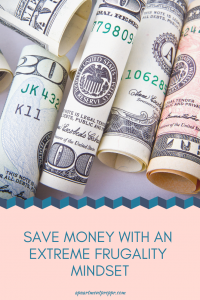 Many people have this idea that you cannot save money unless you are saving money on big purchases. This is simply not true. With a poverty mindset, you need to look for the savings in everything and often times the real savings in the little things. By not buying the coffee every day, you are saving $1-4 a day which adds up to $7-28 a week. In addition to those savings, you aren’t tempted to buy the donut or bagel which is $2-4 a day or $14-28 a week. Already you have saved $21-56 in a week which is $84-$224 a month which is very nice payment on a bill. This is the mindset you need to create – little savings add up to big savings over time. 23. You may not be able to buy organic, non-GMO food or special ingredients. Back to the good old grocery budget. Most impoverished people can not afford this kind of food unless they are growing it themselves. While I mentioned before that you need to convert to cheap, basic foods, that doesn’t mean you need to eat junk or eat unhealthily. You need to keep food to rice, beans, vegetables, fruits, and eat well but cheap. You just may not be able to afford organic food, hemp seeds, or anything that is marked up due to being the new health food cure-all. 25. Work as much as you can (within reason). If you are truly needing to get out of debt, pay off big bills, or just trying to save a large amount of money, you need to work as much as you can. Most people are not willing to do this. However, if you are offered more hours at work, take them. If you have the opportunity to work a part-time job in addition to your full-time job, do it. The only caveat to this would be if you have to pay more to work more. Having kids in daycare longer is usually not beneficial for the budget or family life. Sometimes you can work from home or telecommute which will help you save money as well as make more money. I would just steer clear of multi-level marketing jobs that ask you to spend money in hopes of making more money. Yes, they do work for some people, but often they don’t work for others. Some of you are thinking you already do most of these things, but can you take it further? I know I can and should. If you are stuck for ideas, the internet is a wonderful place full of good ideas. If you think you can’t live without a smartphone, satellite television, and more, research other cultures and extreme savers. They will teach you quickly that you can and you would be spending your time much more productively without them. Erica N writes about preparedness, homesteading, frugality, parenting, and life in general in her blog, Living Life in Rural Iowa. A mom of four who has survived divorce, poverty, kids going to college, and teenagers! Always keen to learn more about what she writes about. 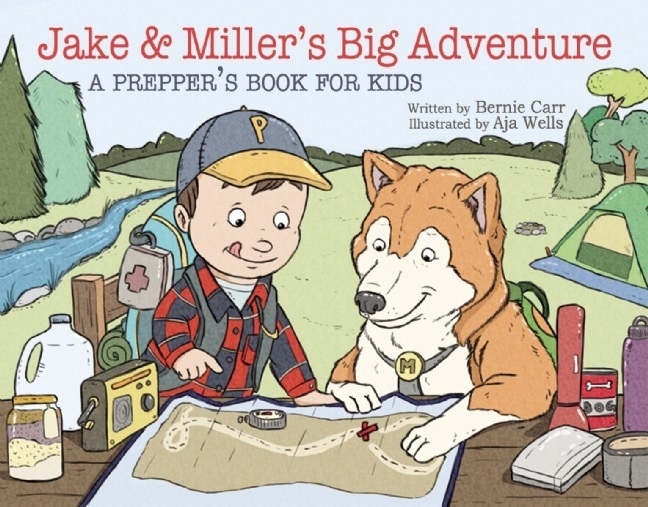 She has written a book, The Prepper’s Yearbook, available now.